Dish Network has won a bid to buy bankrupt movie rental business Blockbuster. The satellite company’s winning bid for Blockbuster was $320 million, but says it expects to pay close to $228 million cash, after adjustments, once the deal is settled, reports TechCrunch. Dish beat out a number of other bidders, including billionaire Carl Icahn, who owns a larger percentage of Blockbuster stocks and bonds; a group Blockbuster lenders led by Monarch Alternative Capital and South Korea’s SK Telecom. Blockbuster put itself up for auction in February after Cobalt Video reportedly offered to buy the business for $290 million. The video rental company used that bid as a “stalking horse” offer, or the minimum amount it would consider for future bids. The auction follows Blockbuster’s declaration of bankruptcy in September. At that time, Blockbuster had 5,600 stores worldwide, with 3,300 in the US. The company has since been forced to close about 900 stores in the US since filing for Chapter 11, but plans to close another 700 by mid-April, according to a company spokesman. 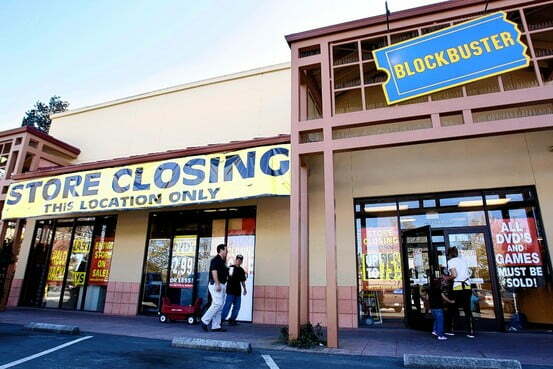 Blockbuster blames its business failings on competition from mail DVD rental and video streaming service Netfllix. In an attempt to compete, Blockbuster launched its own on-demand movie streaming service in 2009, and shut down nearly 1,000 retail locations. Despite these efforts, however, the company still accrued roughly $900 million in debt, which led to its Chapter 11 filing. According to Blockbuster’s bankruptcy petition, the company has about $1.02 billion in assets and $1.47 billion in debt. The deal with Dish Network is expected to close in the second quarter, pending approval from US Bankruptcy Judge Burton Lifland.